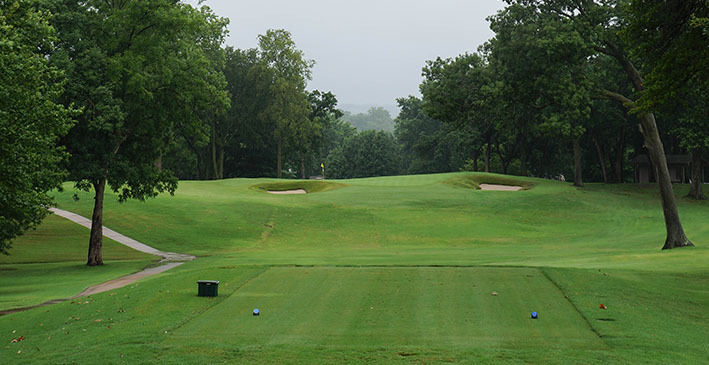 While the first hole is a straight par 4, it is imperative that your tee shot finds the fairway. 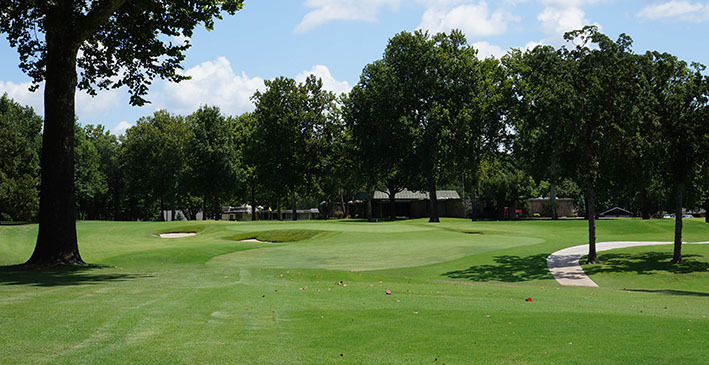 If you miss the green on your approach, a par will be hard to come by. Hole #3 is a par 4 with sharp dogleg left. A long tee shot is needed for any chance of reaching the green in two. If you miss the green long, getting up and down will prove difficult. Hole #4 is a par 3 that plays 193 yards. Whatever you do, don't miss the green right. Hole #5 is a short par 4 that plays 360 yards but don't let the length fool you. This short hole is difficult as most players have a blind second shot to a shallow green that is well protected by sand bunkers. 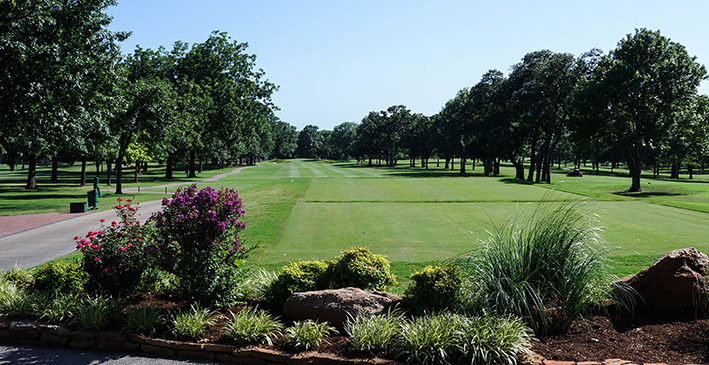 Hole #6 is a par 3 that plays 163 yards. If you avoid the bunkers, you should walk away with a good score. Hole #7 is a par 5 with a dogleg right. A well positioned tee shot will give the longer hitters an opportunity to be on in two. No matter what shot you're hitting, if you land short of the green you will regret it. 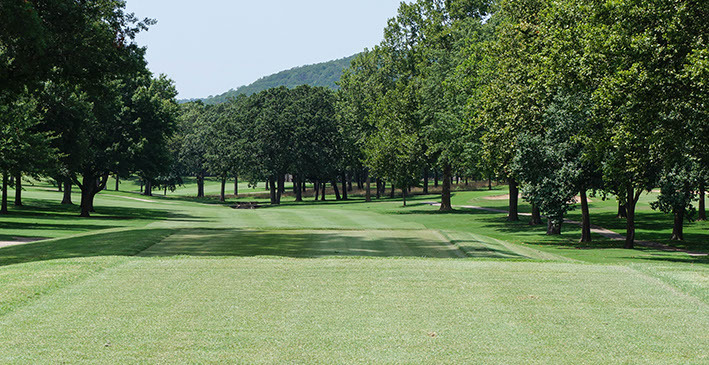 Hole # 8 is a typical Perry Maxwell Hole. 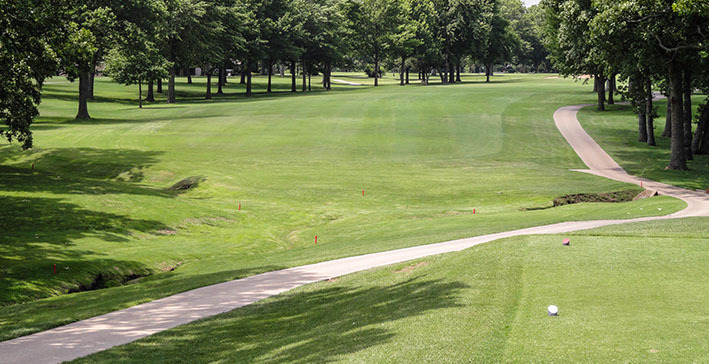 It is a short par 4 that plays 447 yards and features out of bounds on the right and a creek on the left. Great emphasis should be placed on your shot off the tee. 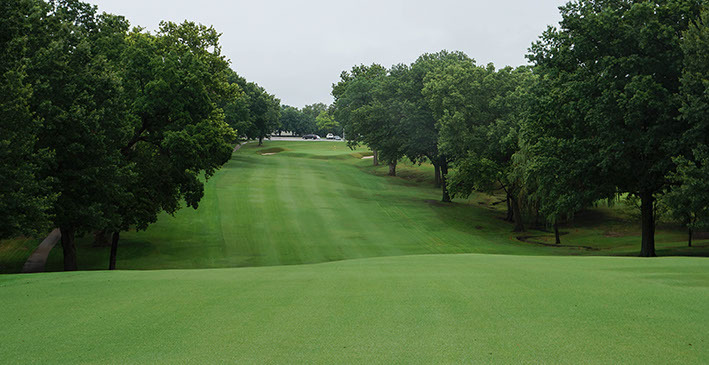 Hole #9 is a dogleg right that plays 505 yards uphill and into the wind. This hole is so tough that it is played as a par 4 from the Championship Tees and a par 5 from the rest. 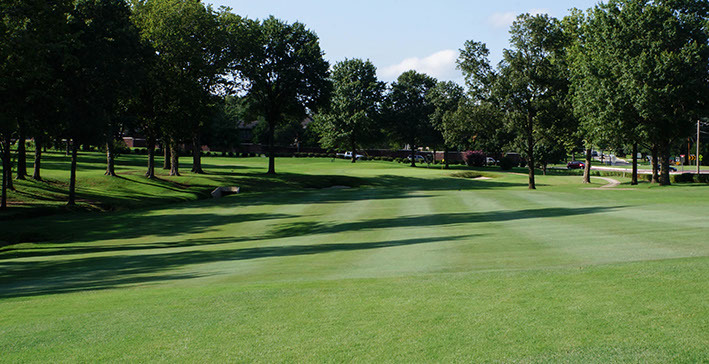 Hole #10 is another dogleg right par 5 that plays 500 yards. This hole has a very difficult green that isn't very deep and places a premium on distance control. The last place you want to be on this hole is over the green. 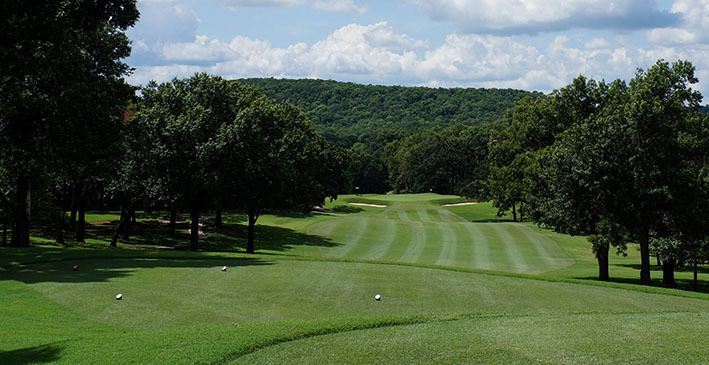 Hole #11 is our signature hole and is voted best 11th hole in the state. This scenic hole is a par 4 and plays 357 yards. 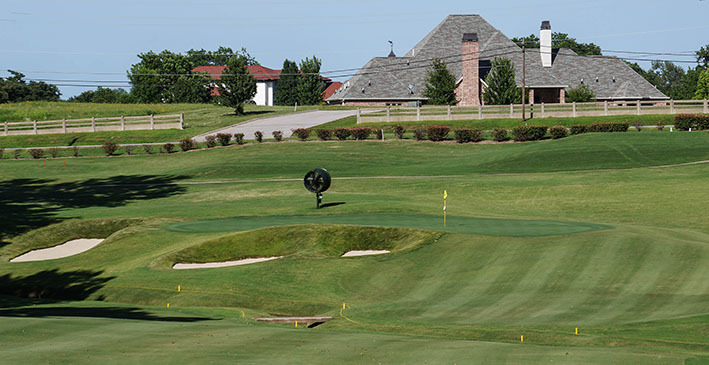 Your tee ball is played from an elevated tee box and your second shot will be slightly uphill. 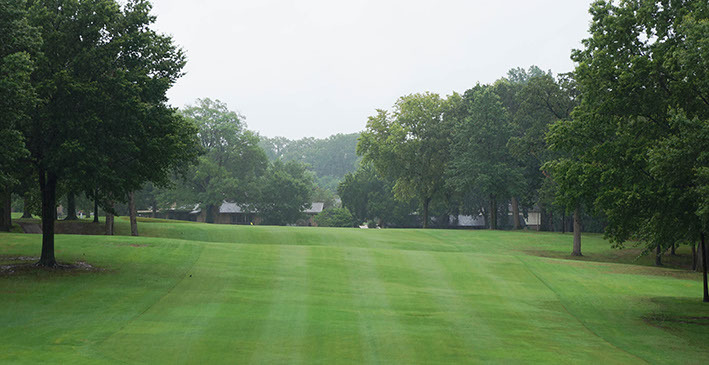 Hole #12 is a par 3 that plays 186 yards. This hole plays uphill and will require at least half a club more if you plan on reaching the green from the tee. 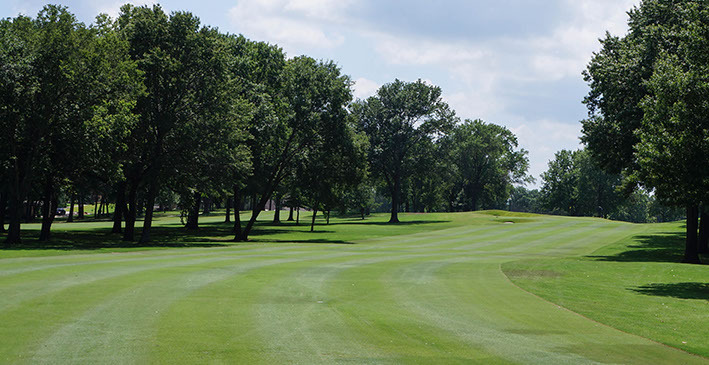 Hole #13 is a beautiful dogleg left par 4 that plays 412 yards. This hole is very manageable as long as you avoid the greenside bunkers. Hole #14 is a slight dogleg right that plays uphill. The key to this hole is finding the difficult fairway that slopes right to left. 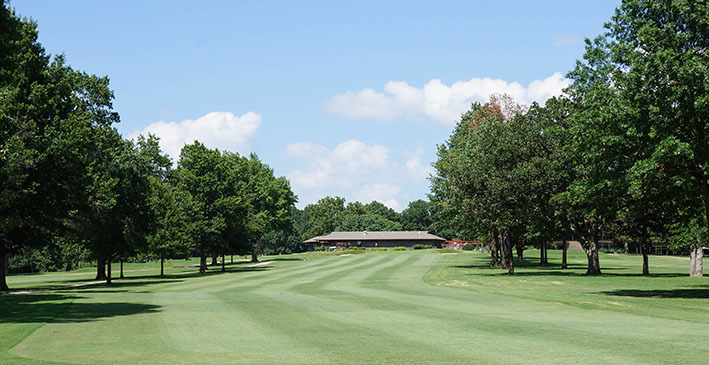 Hole #15 is a dogleg left par 4 that plays 408 yards. Your tee ball must be long enough to have a clear second shot at the green and should favor the right side of the fairway. The green has a spine that runs from front to back so being on the proper side of the green will make your putt more manageable. 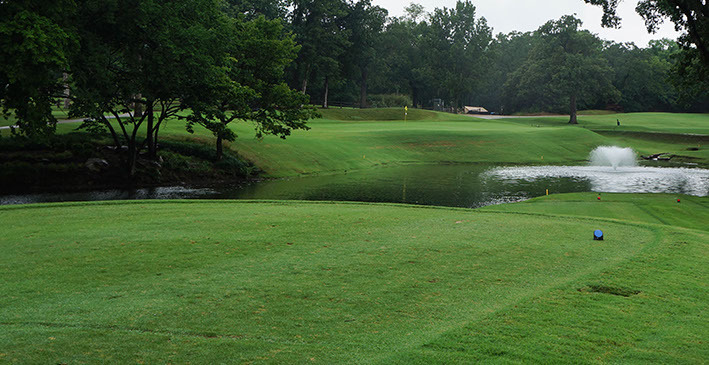 Hole # 16 is a gorgeous par 3 that plays 148 yards over water. 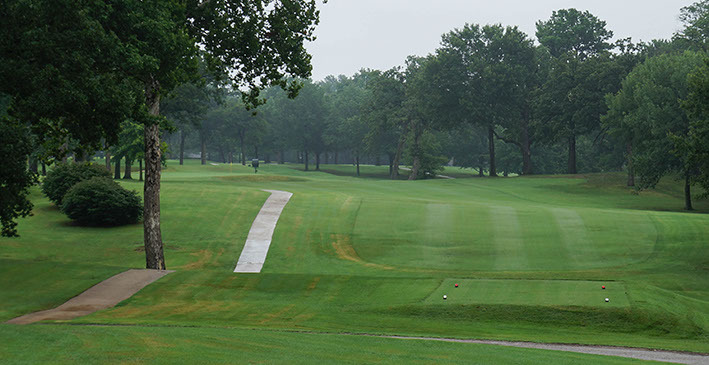 If your ball stays dry, you should walk away from this hole with a par or birdie. 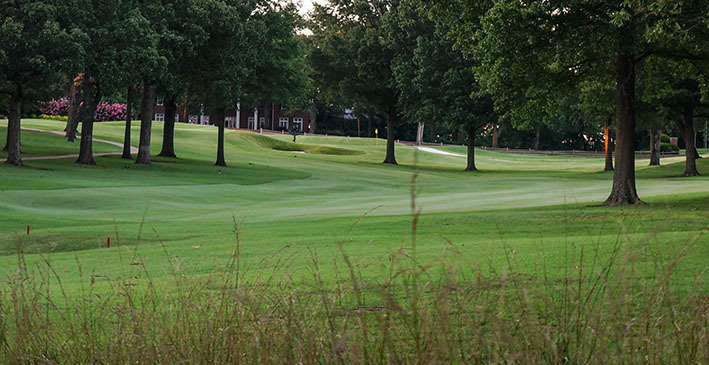 Hole #17 is a tight dogleg par 4 that plays 387 yards. This hole has a false front on the green so make sure you hit plenty of club to avoid rolling back into the fairway. You will also need to avoid the greenside bunker as this is the most difficult bunker on the course. 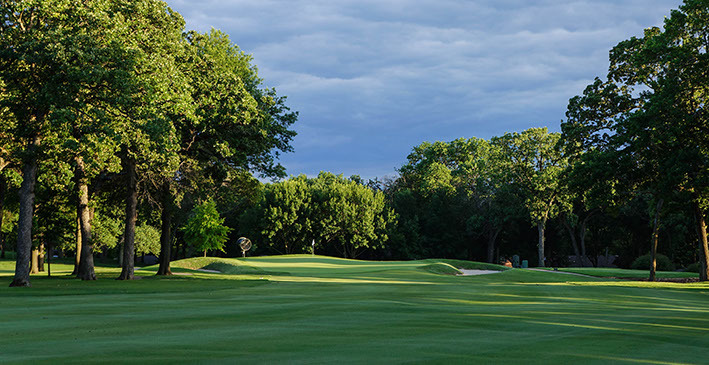 The final hole is one of the best finishing holes around. 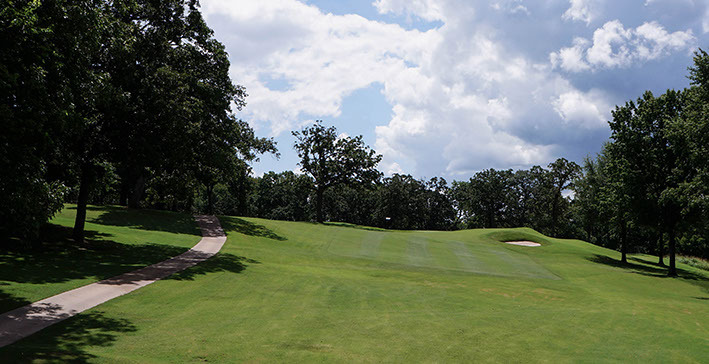 This par 5 plays 575 yards and golfers will experience both uphill and downhill lies. Your tee ball should favor the right side of the fairway and your second shot the left. 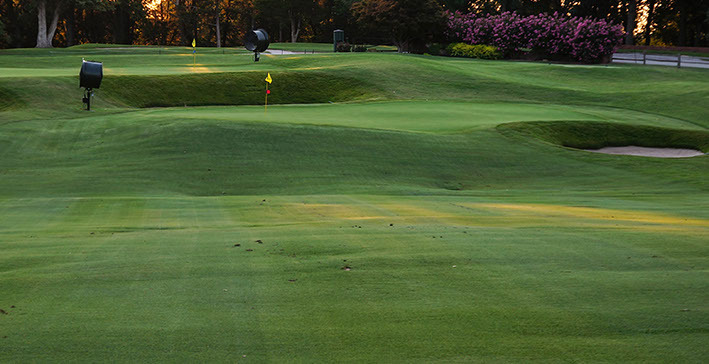 Hit two solid balls and your approach to the green should be manageable.